Digital customer service is one of the most important tools you can use for your company. People expect good customer service. That means quick responses and having a variety of ways to contact your company. When it comes to digital customer service it’s important to remember that it is 100% still customer service, and you should also know that your customers are expecting more of it. Improving your digital customer service isn’t just about responding to inquiries. 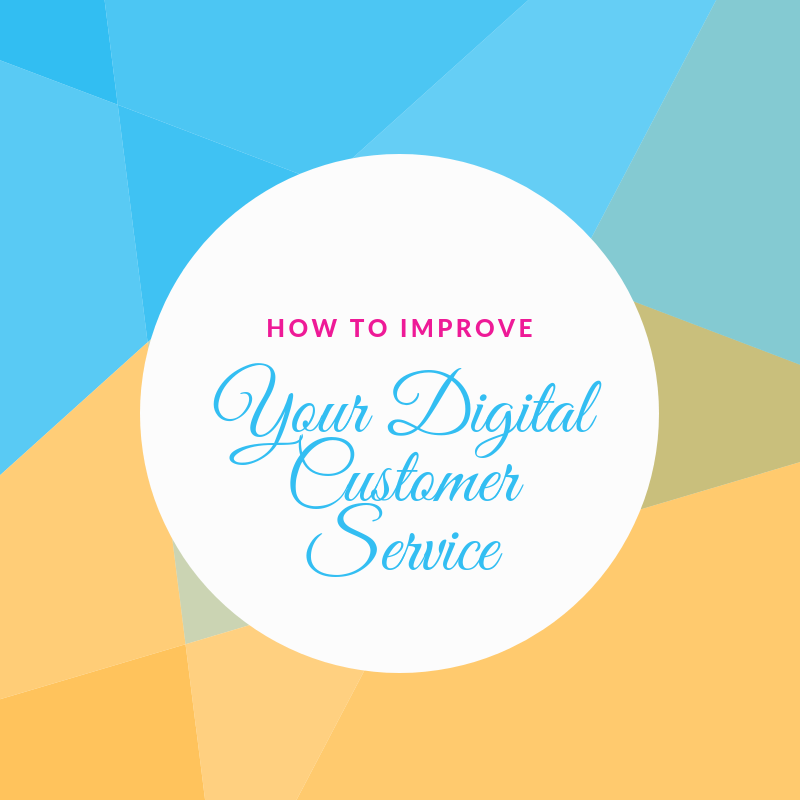 Here’s steps you should be taking to improve your digital customer service. Define what you want to improve. What do you think your customers want to see improved? Your team should be well-suited for customer service and be people-oriented. Define what it is that you want to improve so you can have a goal to work towards. Understand expectations. It helps to put yourself in your customers’ shoes. Have you ever had a bad customer service experience? For example, if you’ve ever walked into a store and had no idea what you were looking for, had to search for an employee and left feeling just as lost with your purchase. Learn from that! We’ve discussed in previous posts that part of the shopping experience is having an expectation of what will happen. If the expected experience is not met this could lead to a negative experience for your customer. This is true for both in-store and online-shopping experiences. Customers will come to your website with an experience in mind. Make sure you’re meeting their expectations. Value all customer feedback. Feedback can be a hard pill to swallow sometimes. Even with the unwanted feedback, you should treat all feedback with importance. Be proactive in responding to feedback. In a dream E-Commerce site you will have so much information on there that customers can easily find all the answers to their questions. No matter how hard we try to answer all questions before they even ask, some people just love to talk to someone to ask their question or voice their concern. The timeliness in your response is imperative in not only impressing your students but also keeping them happy. Have the same messaging across platforms. Students love to check out social media, and they like to shop online. Make sure that your messaging is consistent on both. Your students want to engage with you, don’t make it confusing for them. Having consistent messaging gives you more power to retain your customers. Improving processes is a never-ending project. There’s always going to be ways to improve your customer service. Be receptive to the feedback your customers are giving you and use it to continue to improve your digital customer service.